ANDREW GLOVER joined the C.L. Barnhouse Co. of Oskaloosa, Iowa in October 1998, where he is in charge of production for all new Barnhouse music publications and serves as editorial manger. His compositions and arrangements are published by Barnhouse, Theodore Presser, BOVACO, and Educational Music Services. Prior to Barnhouse, Andy taught instrumental music at Rosary High School and in the Webster Groves School District, both in the St. Louis, Missouri area. He also spent twelve years in the private sector as education manager and development director for an international trade association representing the financial services industry. In addition to teaching, Andy performed professionally as a euphonium player with the Detroit Concert Band, conducted by Leonard B. Smith, and has appeared as a soloist, guest conductor, and clinician with many bands. A native of St. Louis, Andy attended public schools in Webster Groves, where he was a student of Ed Carson. He graduated with a Bachelor of Music Education degree from Central Methodist College, where he studied with Keith House, Ronald Shroyer, and Ron Anson. He has been writing and arranging band music since age 15. In his leisure time he enjoys working on music projects, fixing up his 93-year old house, bicycling, spending time with his three cats, writing, and cooking. 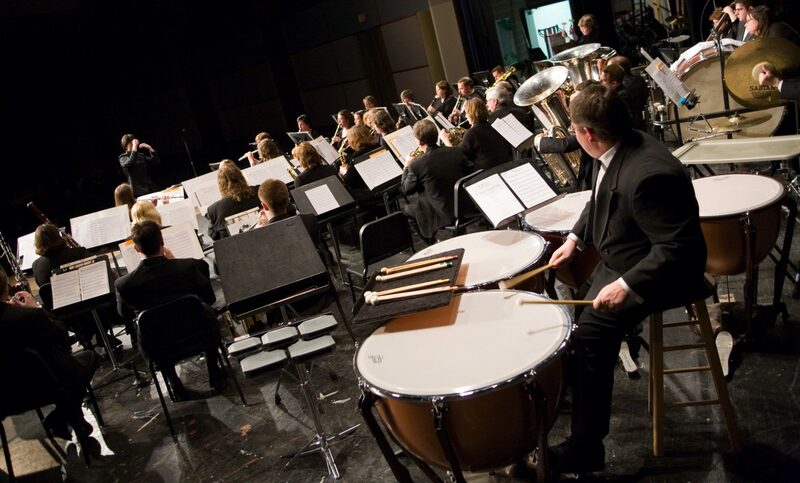 Andy guest conducted Midwest Winds in October 2003, during its second concert season.